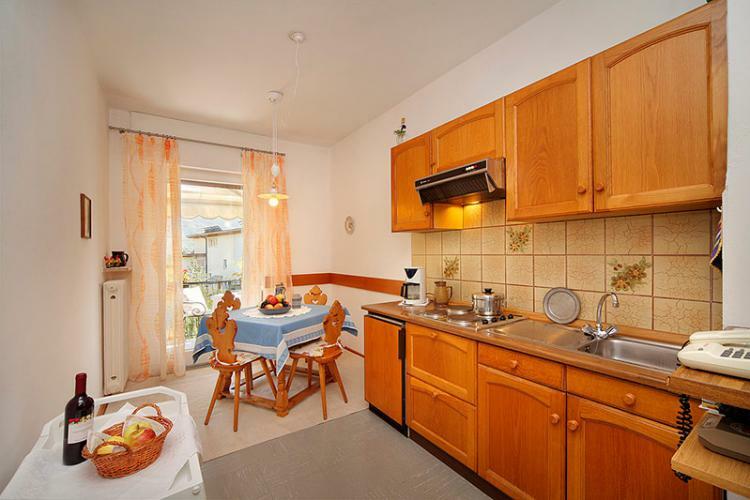 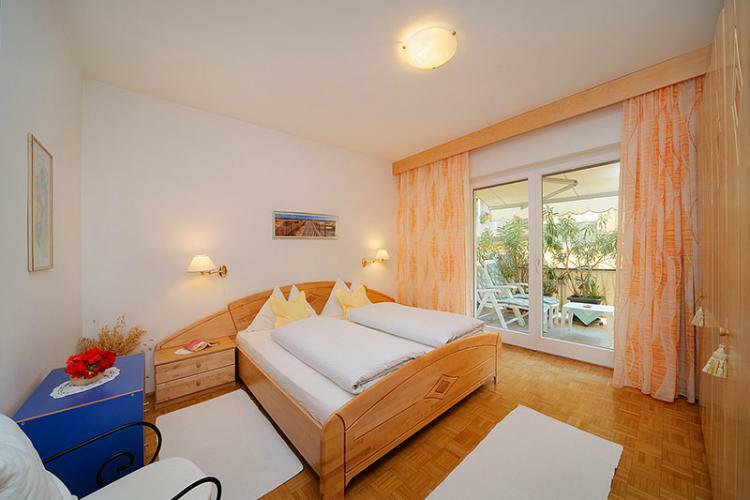 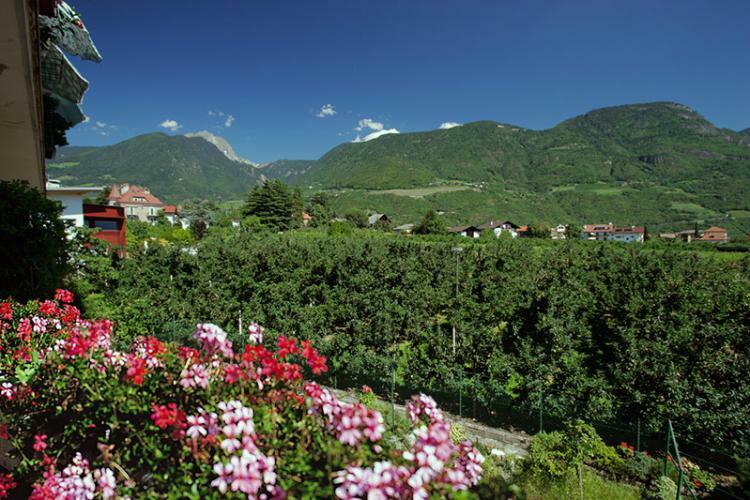 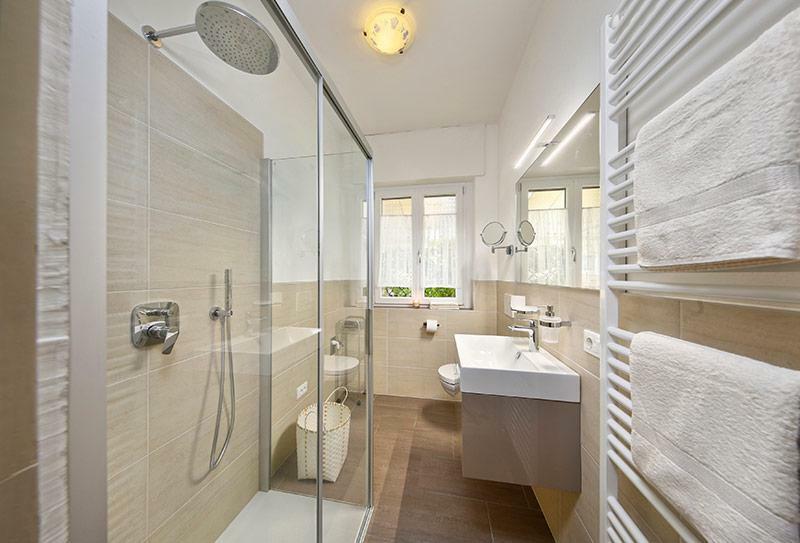 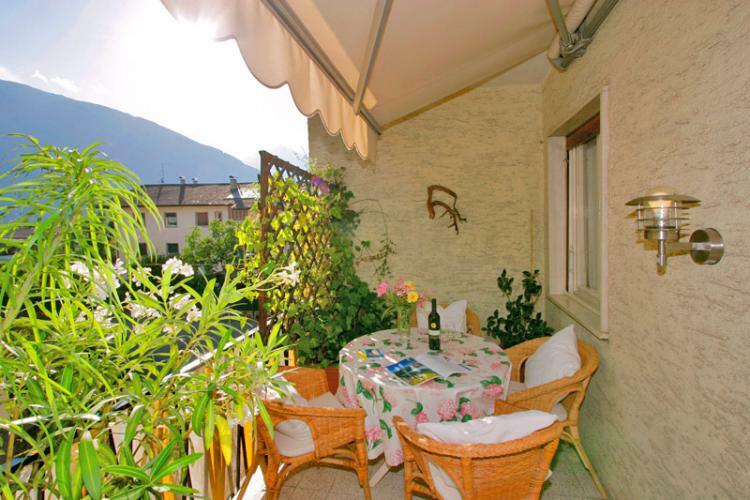 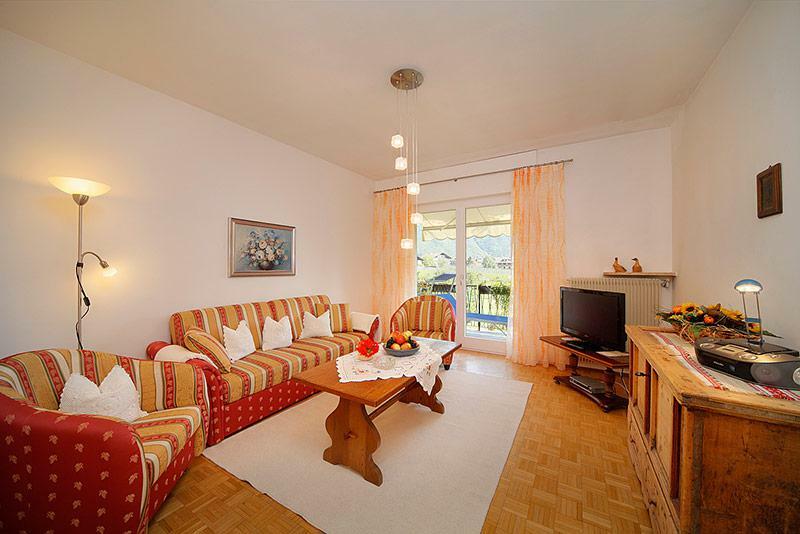 The apartment at Meran is located in a very quiet and sunny position. 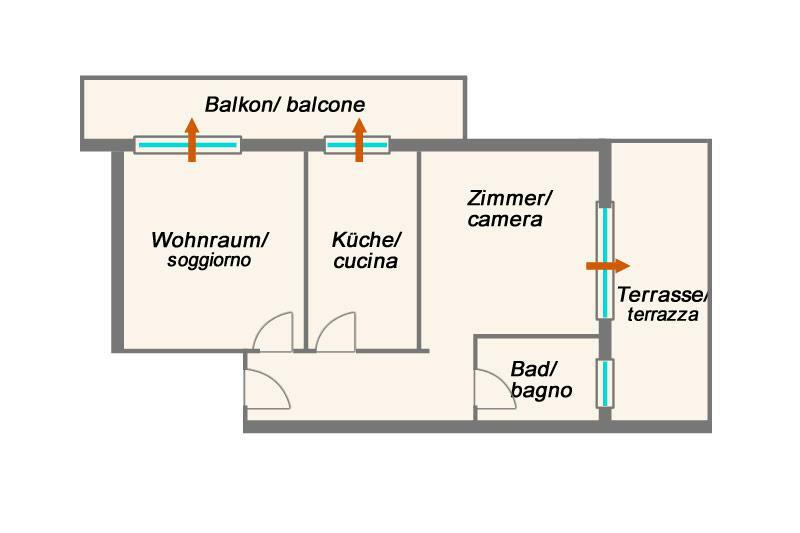 In only 10 minutes walking you can reach the town center, the promenade and the botanic garden at Trauttmannsdorf Castle. Shops, bakery, pharmacy, restaurants and bars can be found in the immediate vicinity. The apartment consists in a double- bedroom, a livingroom with double- bed couch, badroom and shower with WC, a citchen including table with chairs, dishes, bed- clothes, towels, TV with SAT-receiver, WIFI, own telephone, as far as balcony and terrace. You can just relax and enjoy our south- west-terrace with its rich green spaces. 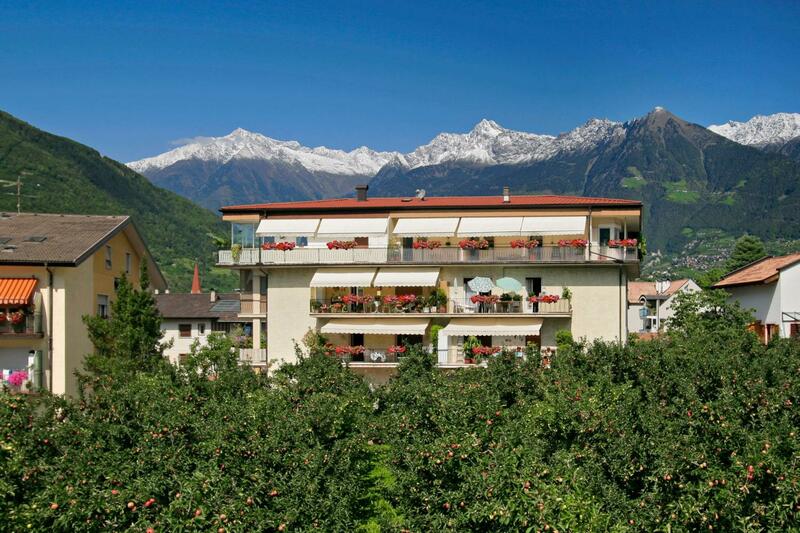 Sitting on the terrace you can enjoy the breath- taking view on the exclusive residential area of Meran and its unique mountain environment.